A rolled and tufted headboard provides elegant touches to the casual Baldwyn Collection. 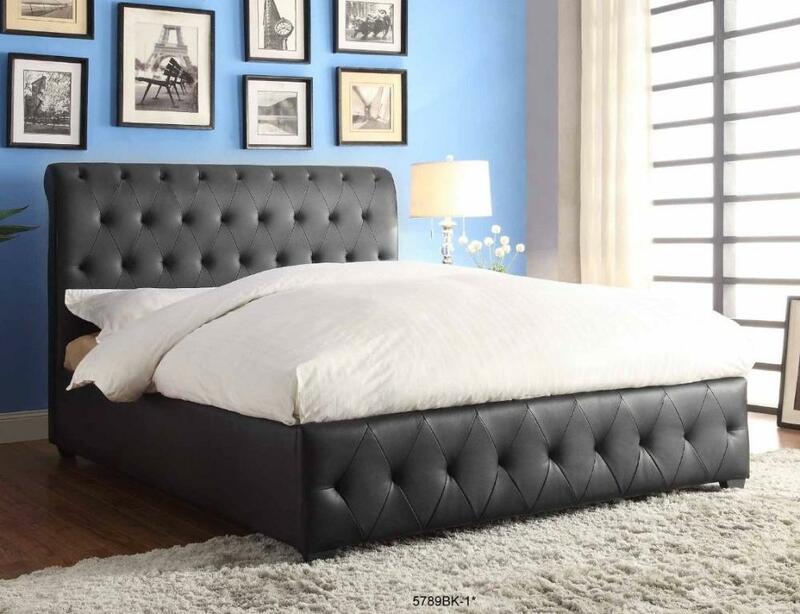 Offered in charcoal fabric and black bi-cast vinyl, this bed offers not only flexible placement, but the opportunity to style the room to fit your needs. FEATURES: Charcoal / Black Color ~ Contemporary Style ~ 100% Polyester / Bi-Cast Vinyl Cover ~ Button Tufted Accents.